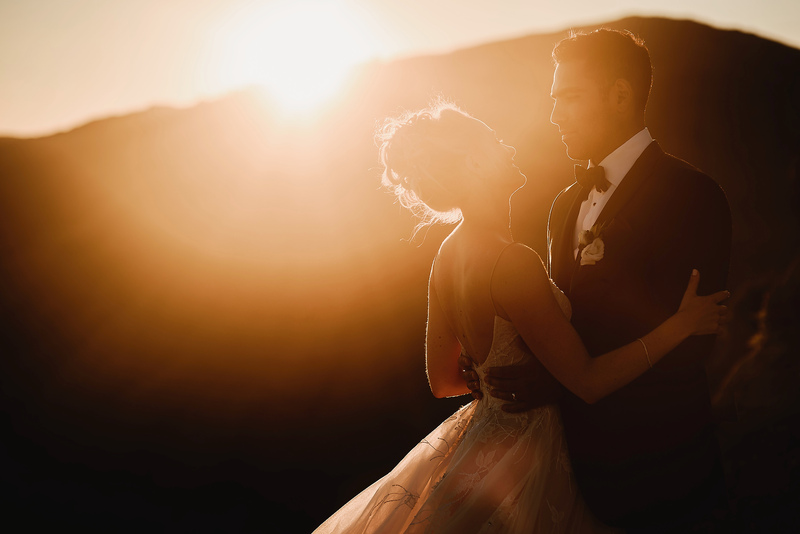 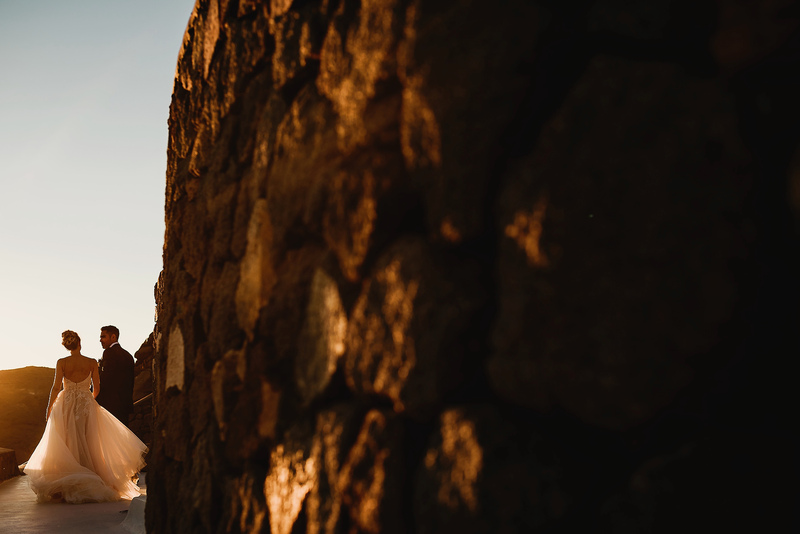 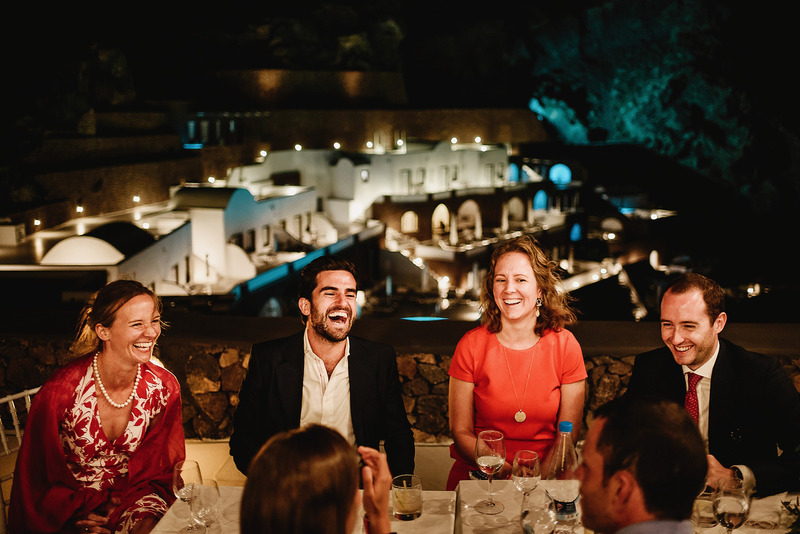 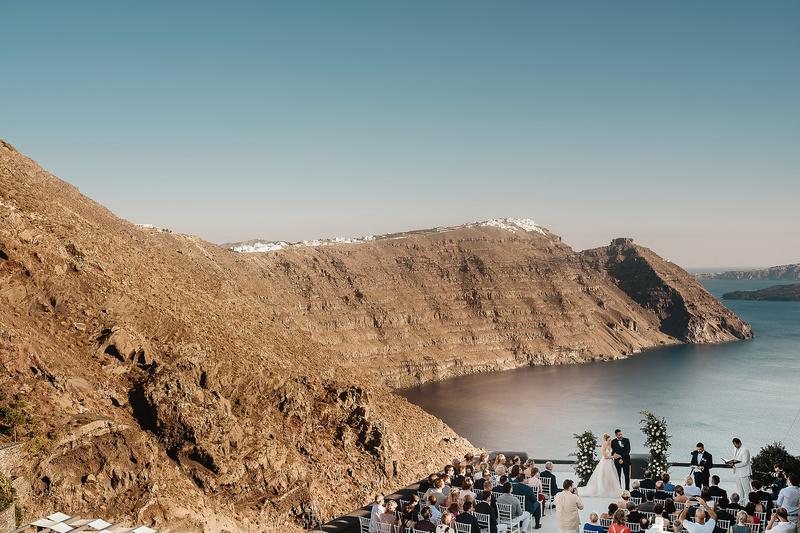 Zoe & Alex’s Santorini wedding was an adventure i’ll never forget! 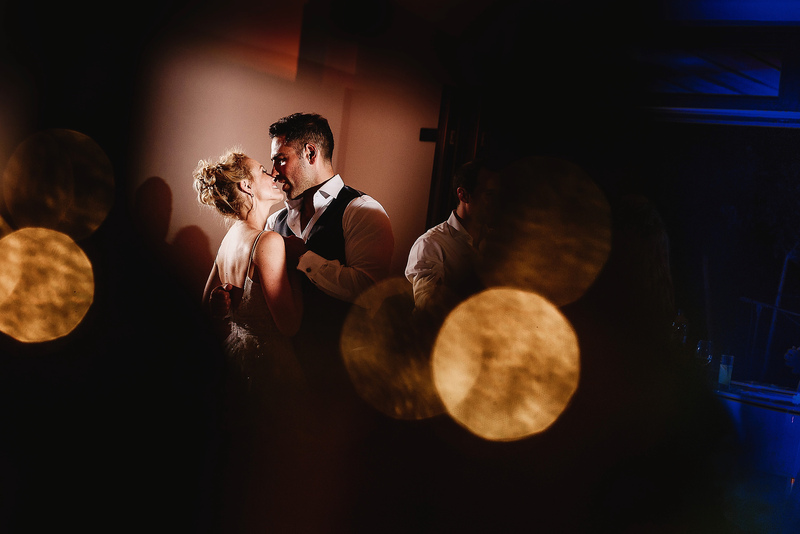 Zoe and Alex are two of the most amazing, giving and welcoming people you could ever hope to meet! 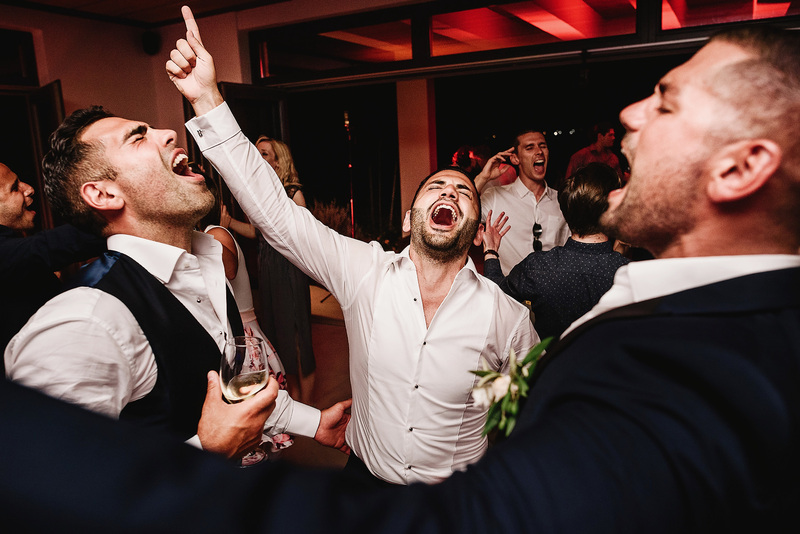 I first met them at their friends wedding a year ago, and was so chuffed when they decided I just had to be their photographer. 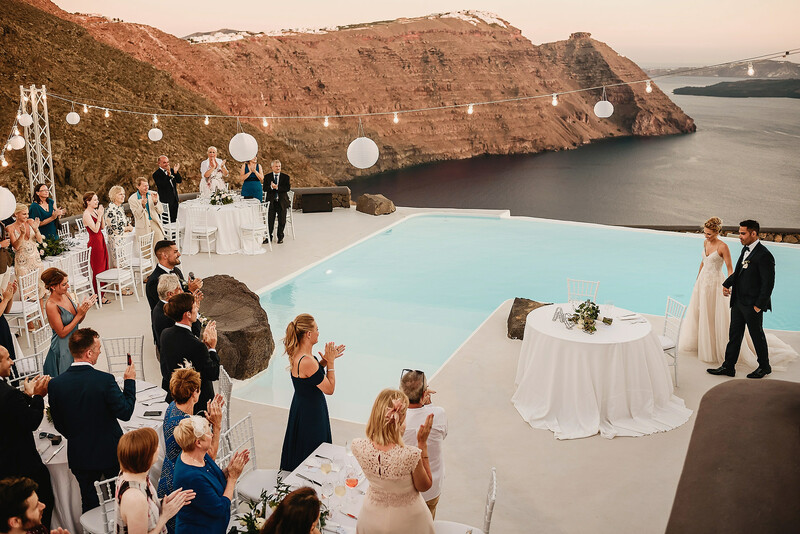 They’d decided upon the romantic Greek Island of Santorini as the destination for their wedding. 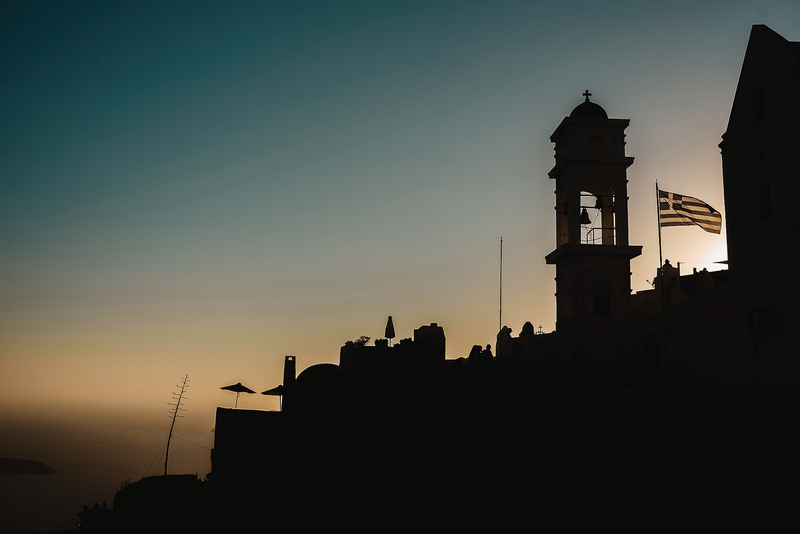 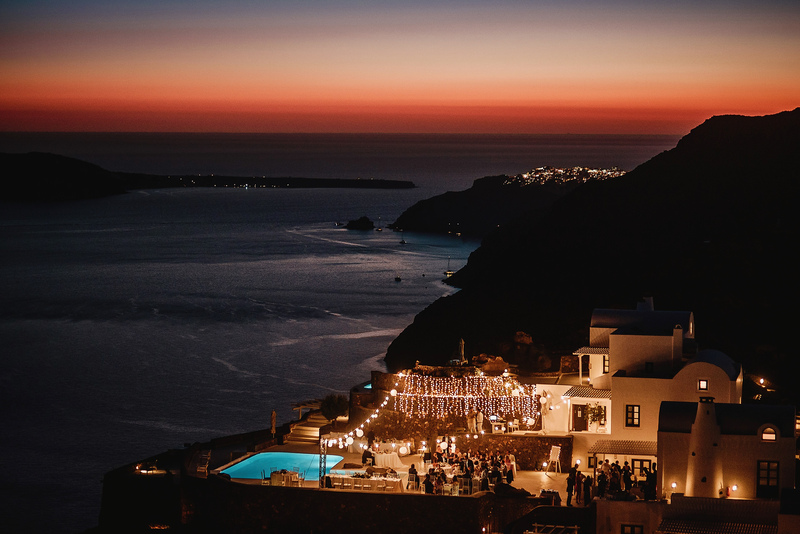 Santorini is just so utterly beautiful with it’s dramatic cliffs and white buildings overlooking the Aegean Sea. 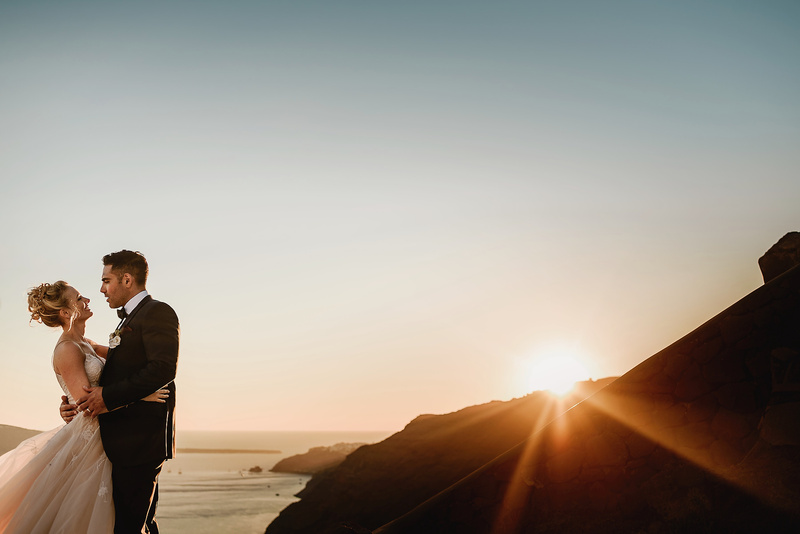 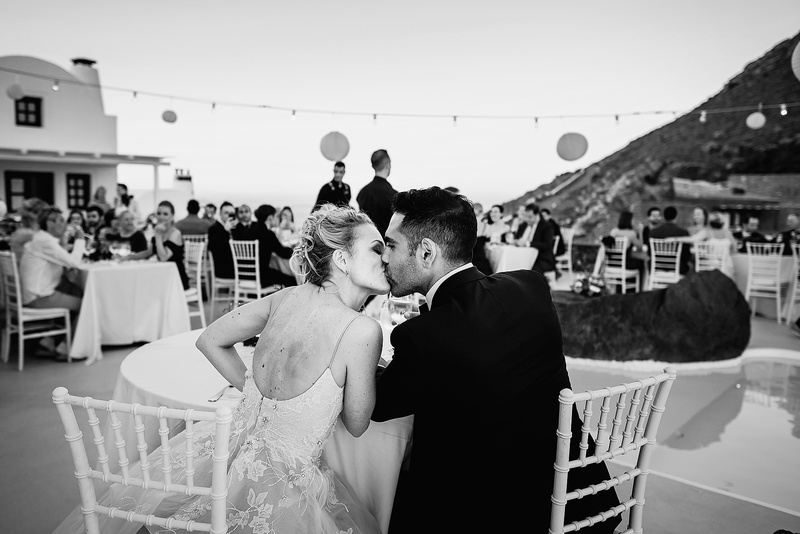 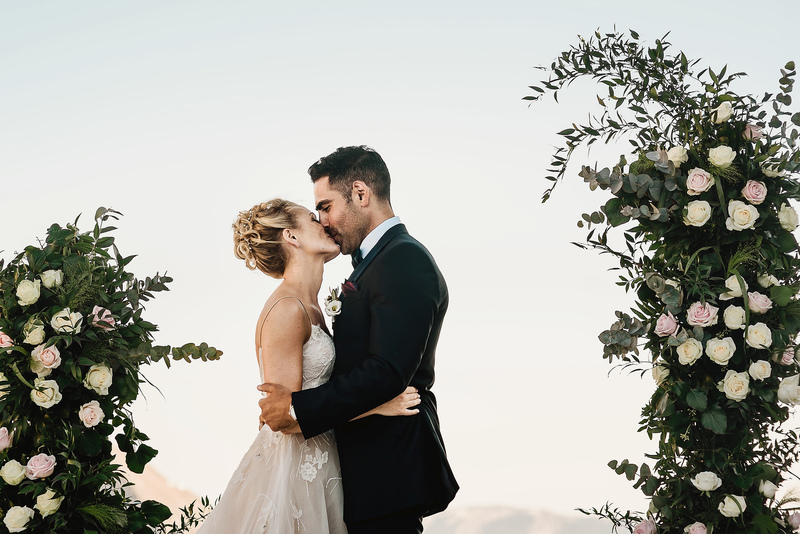 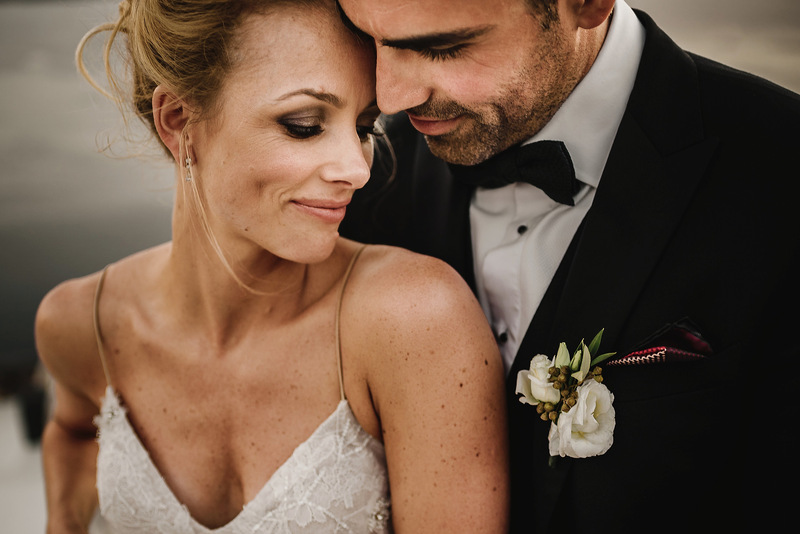 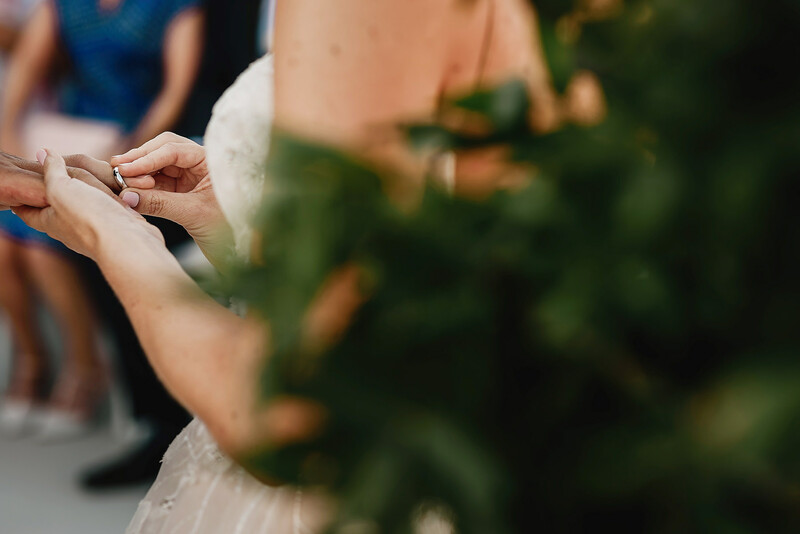 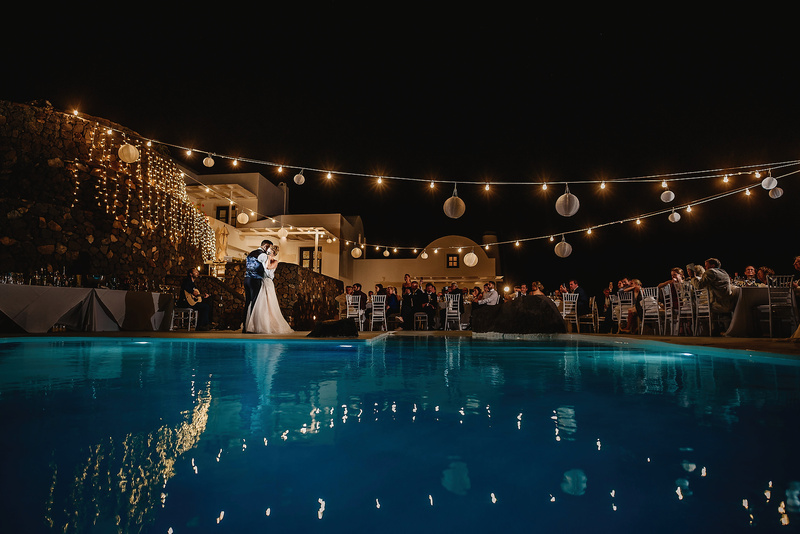 Zoe and Alex fell in love with Aenaon Villas, a luxury hotel nestled into the cliffs with breath taking panoramic views, and knew it was the perfect venue for their big day. 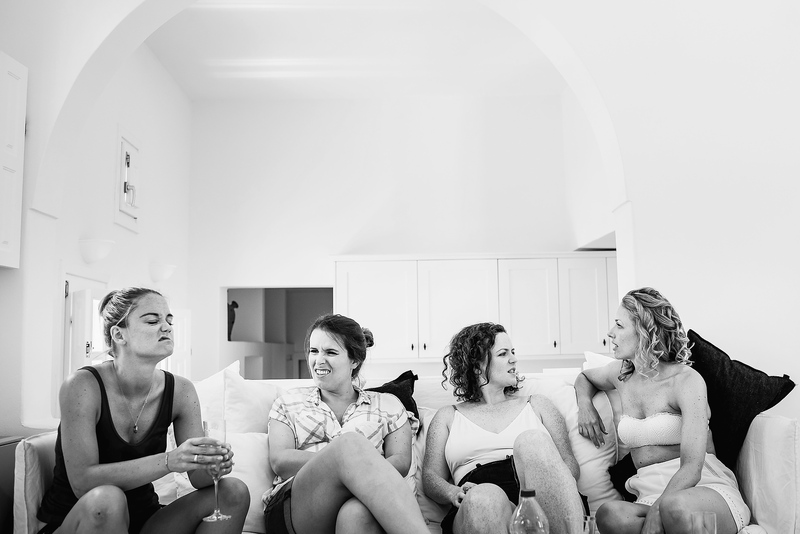 The wedding party all enjoyed a couple of days of pre wedding bliss at Aenaon villas. 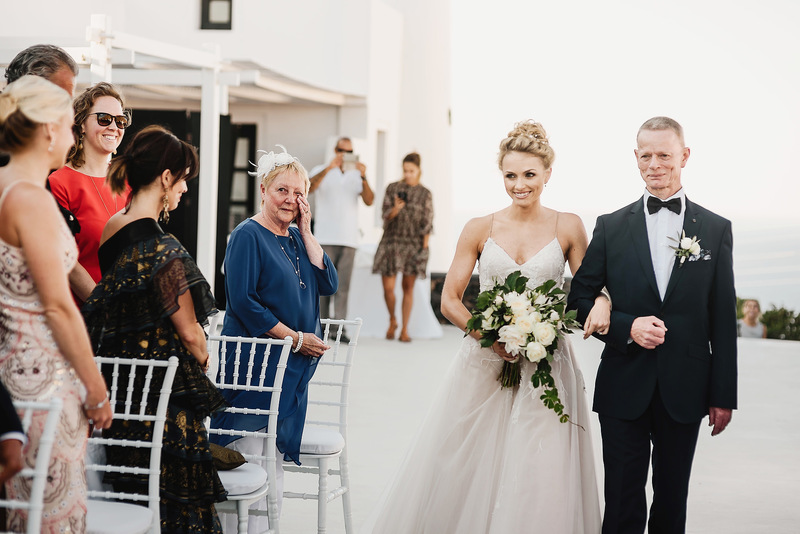 However their calm was interrupted when I dropped by to catch up with the day before – Due to being such a fabulous location, I’d brought the mini-gaines clan with me to Santorini, and being the lovely couple they are, Zoe and Alex insisted the children came to check out their hotel too. 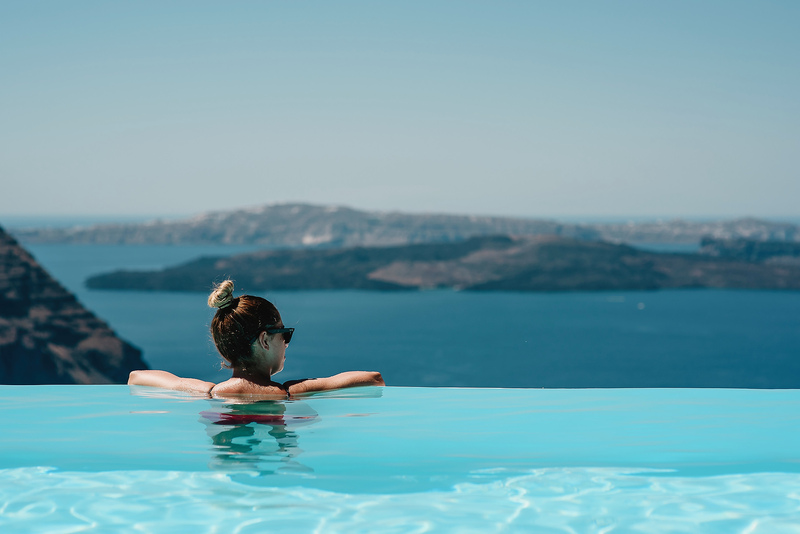 The infinity pool was a particularly big hit with the kids – They still talk about ‘Zoe and Alex’s house’ today! 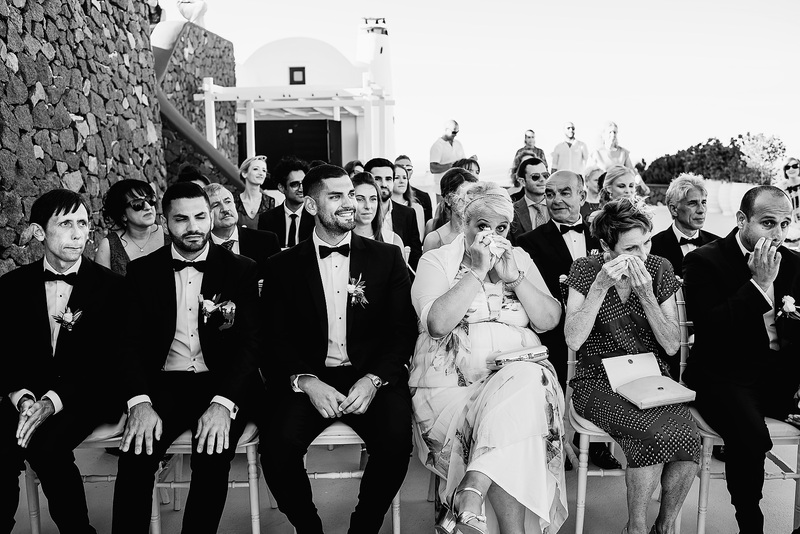 getting to spend that extra time with Zoe & Alex’s friends and family and seeing the different relationships and friendships is one of the great joys about destination weddings. 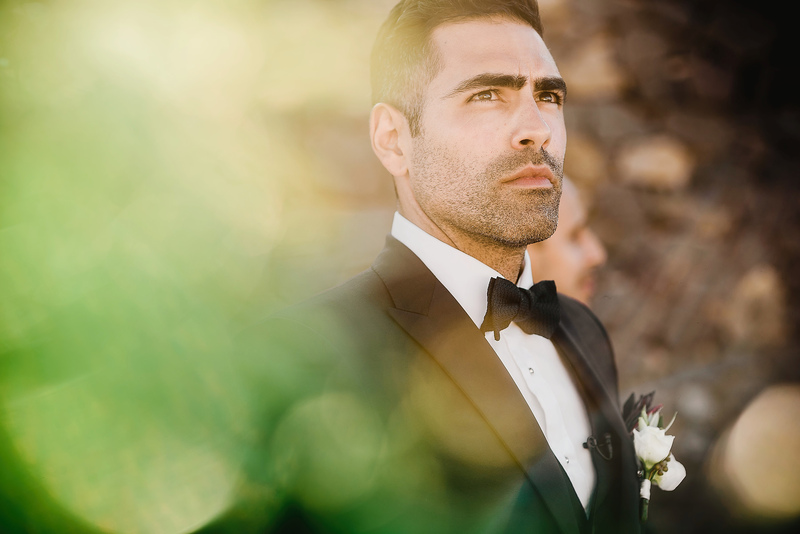 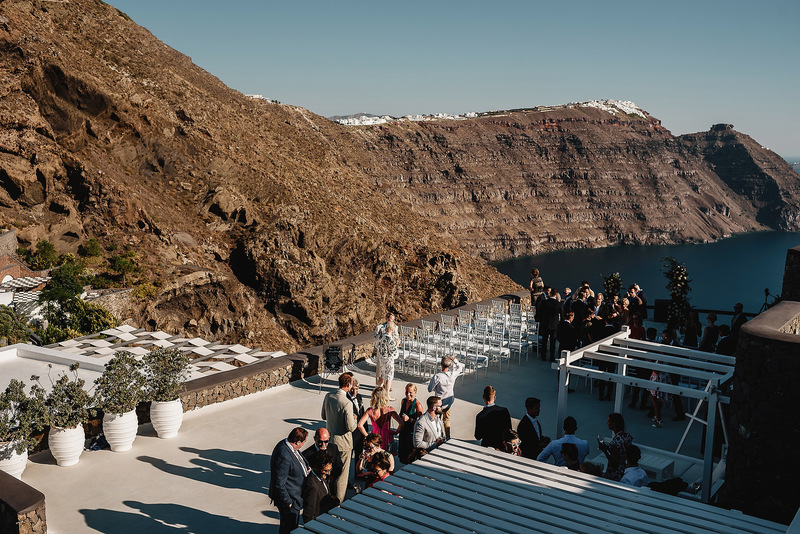 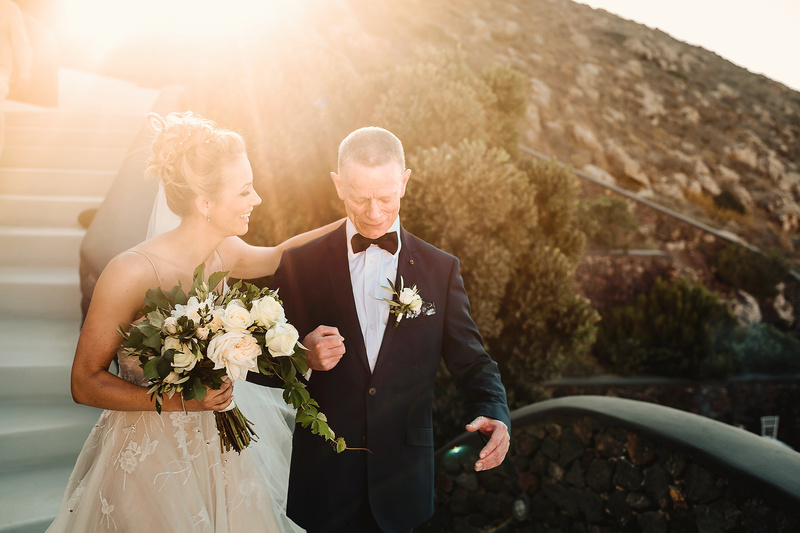 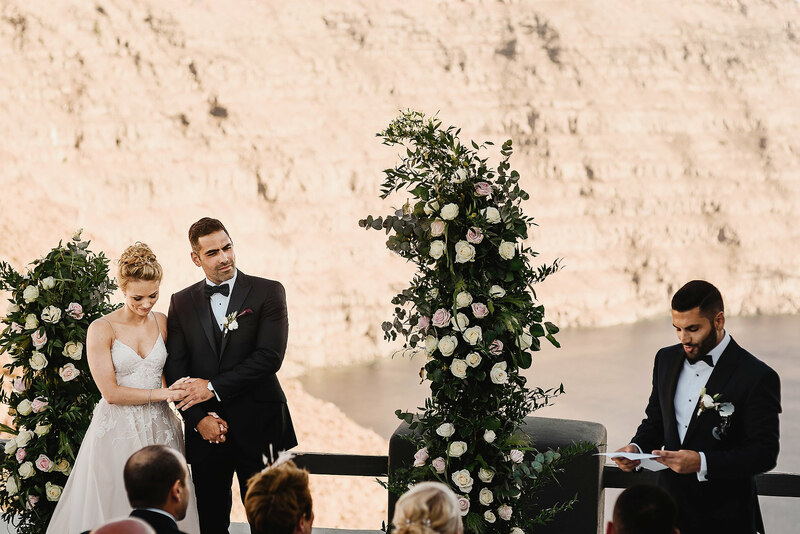 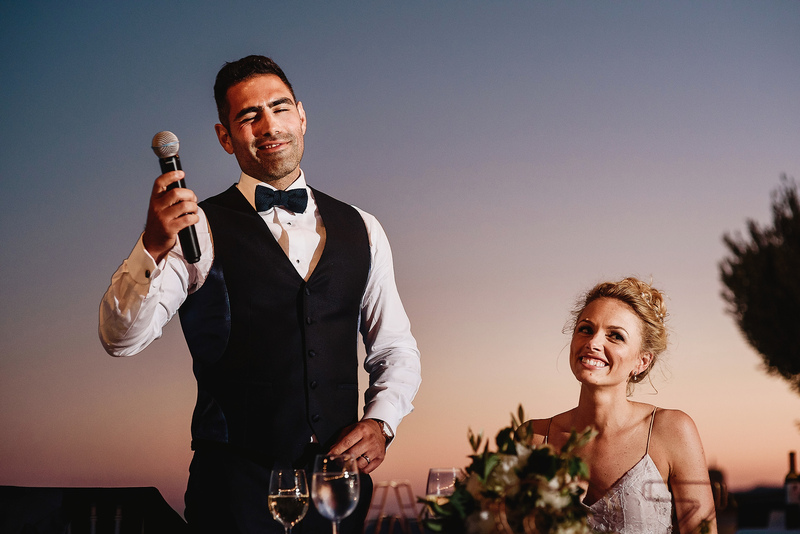 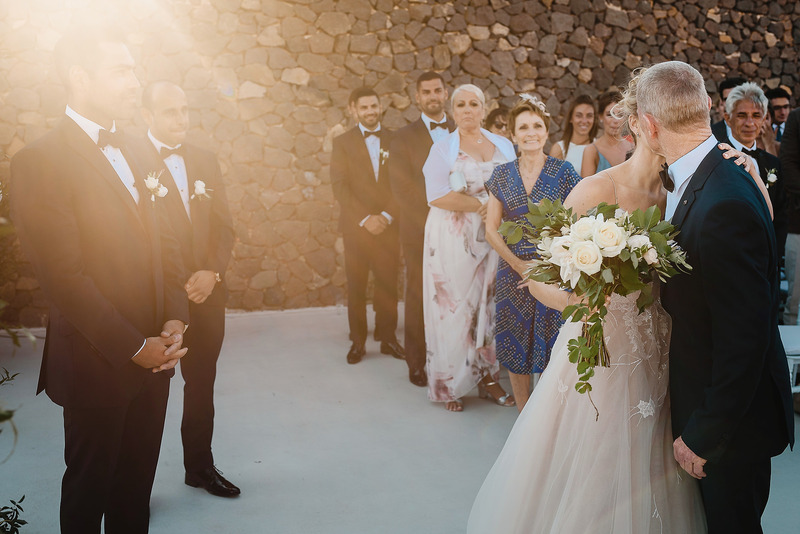 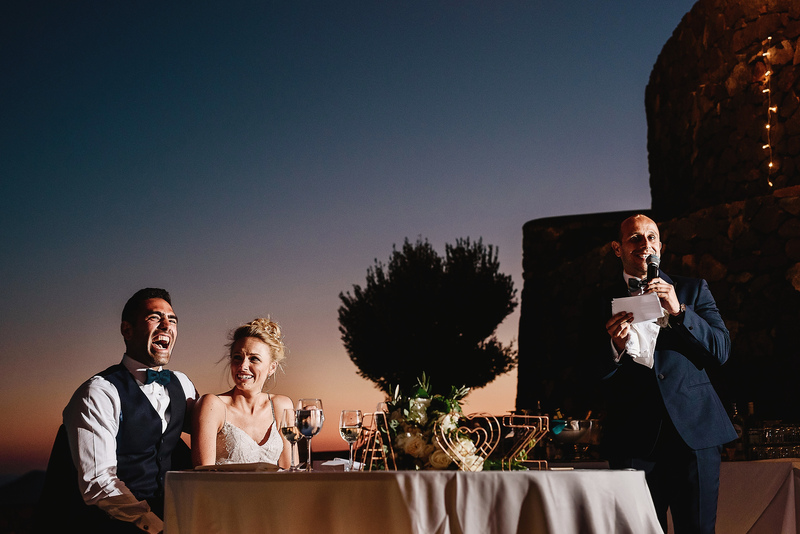 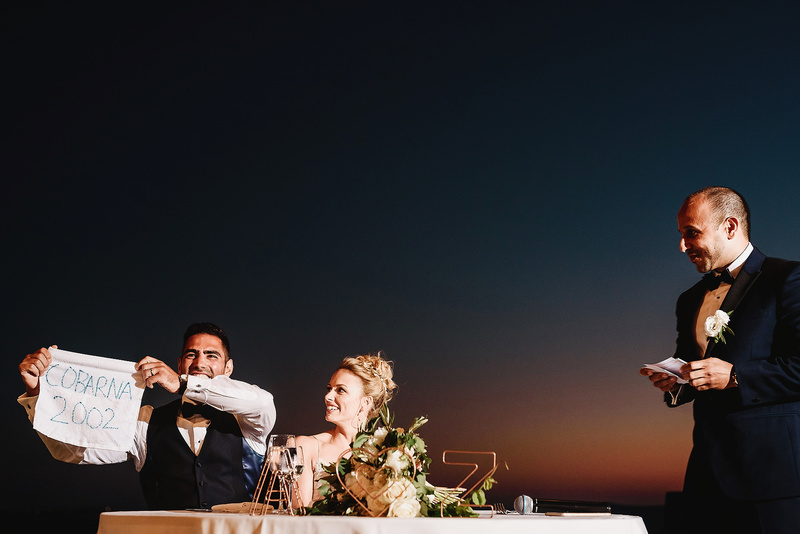 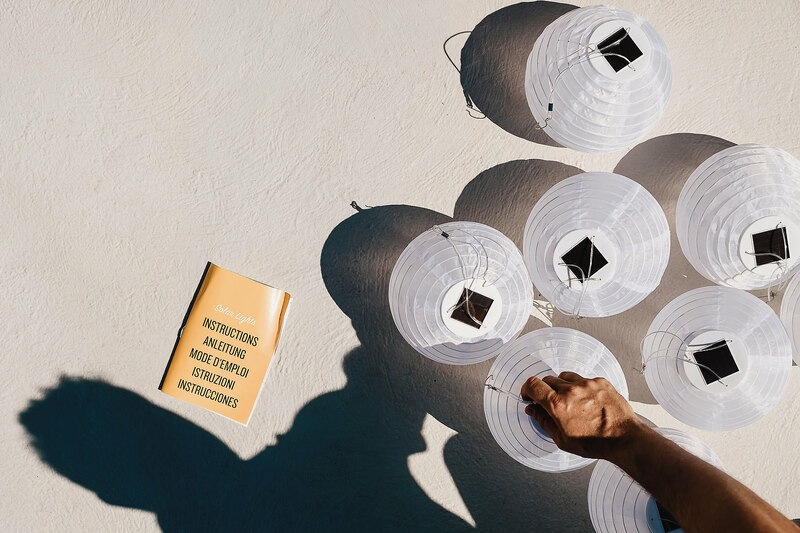 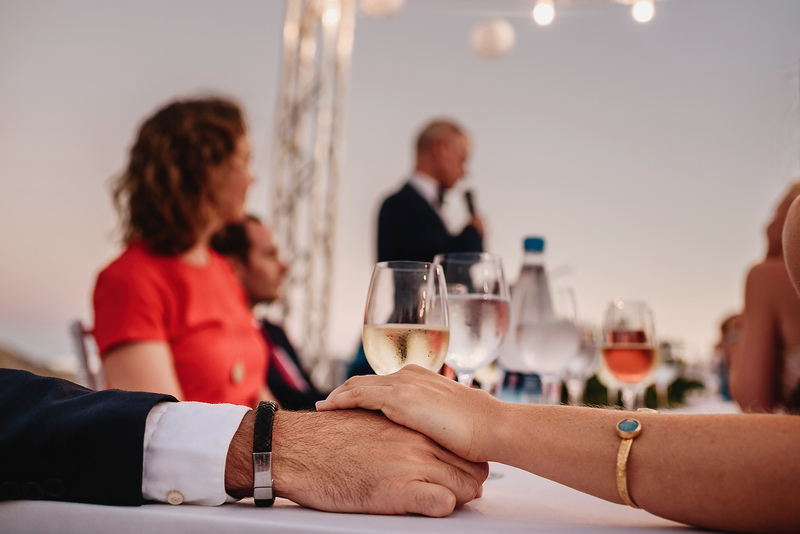 On the day of the wedding, a chilled out morning and afternoon led into a stunning and emotional ceremony on the terrace beforethe guests enjoyed a trademark Santorini sunset and then speeches in the open air as dusk fell. 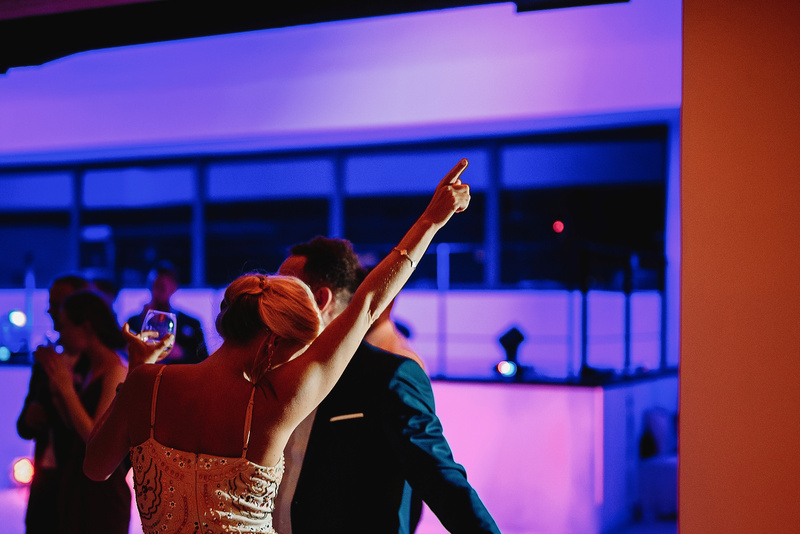 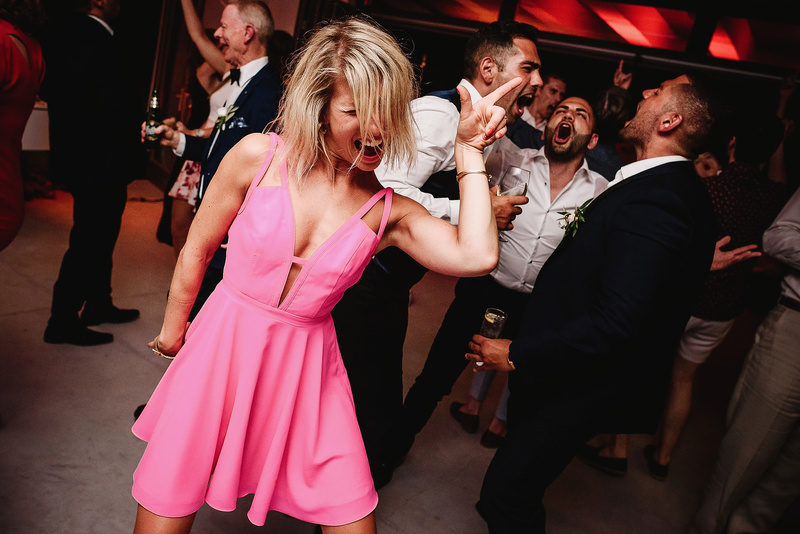 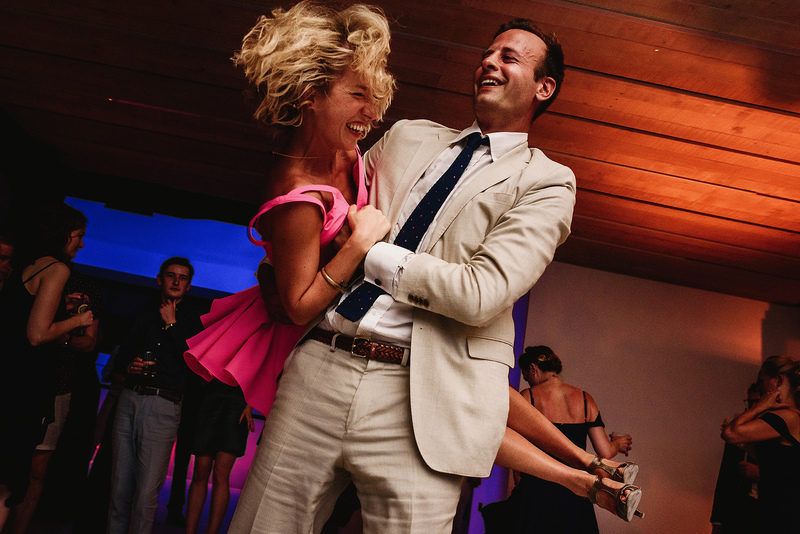 As the evening drew on, Zoe and Alex, and their guests were ready to party! 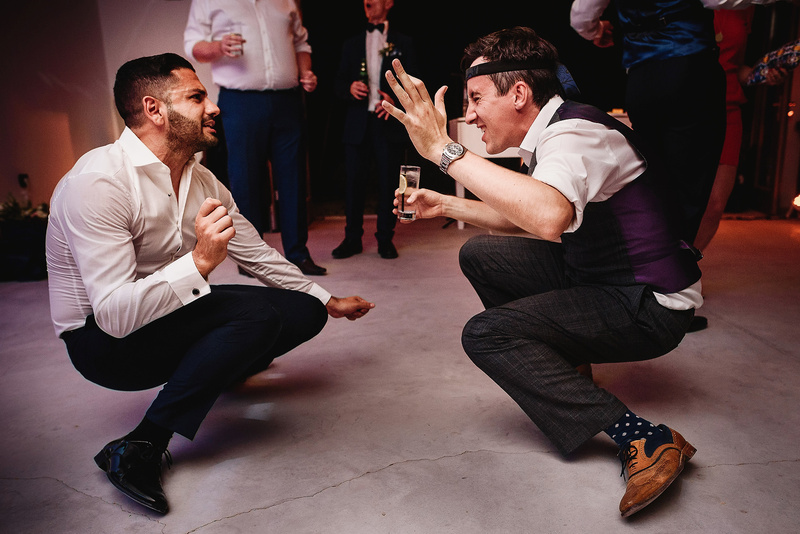 So we headed to a nearby private hire club and things got very messy and very awesome very quickly! 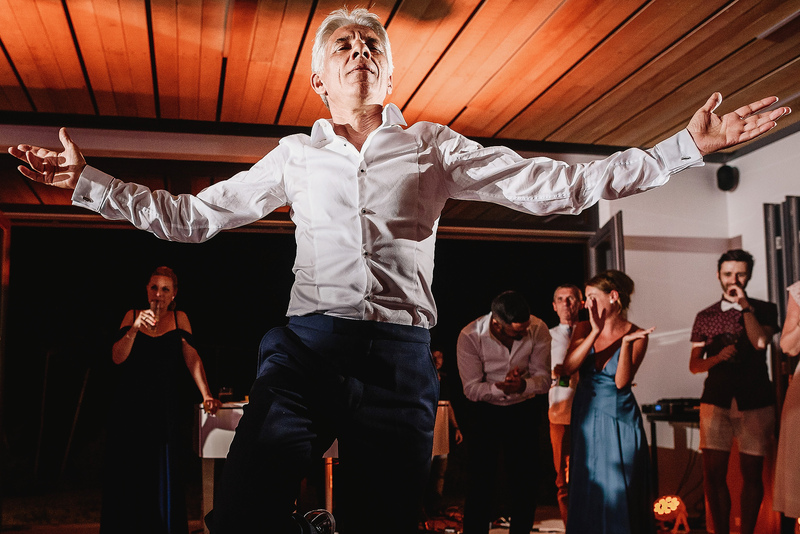 Drinking, Greek dancing and partying until the early hours. 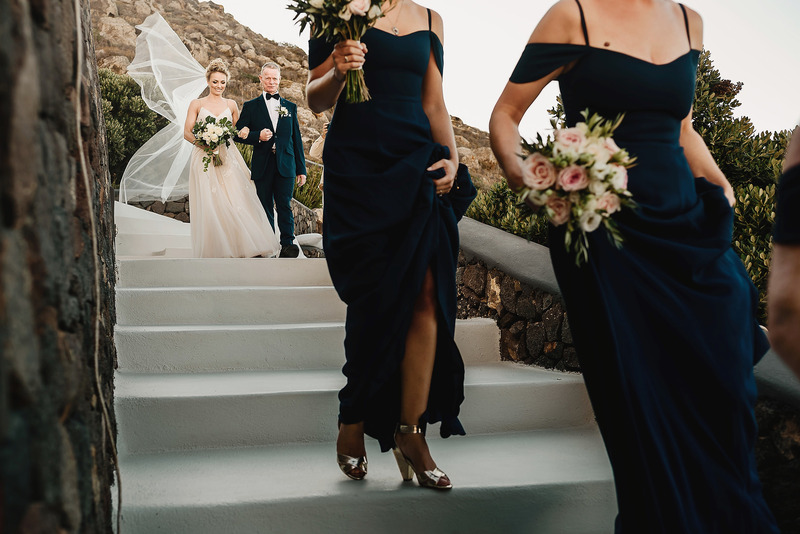 A magical few days I’ll never forget. 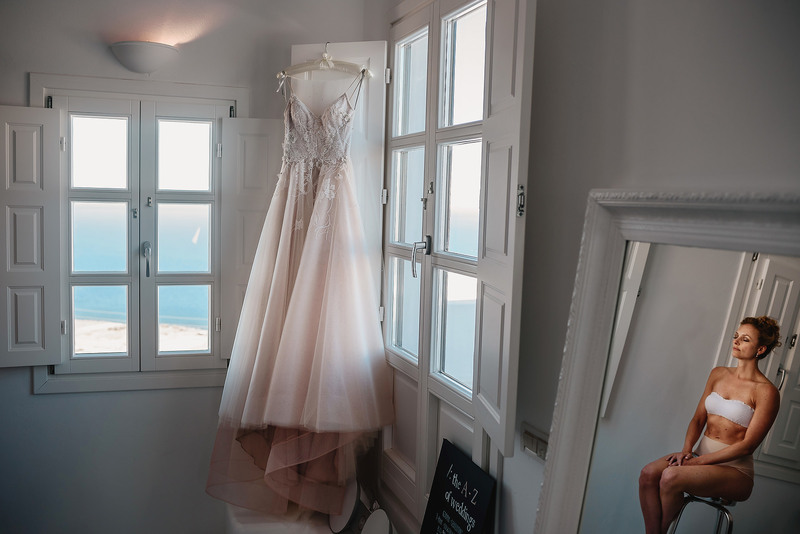 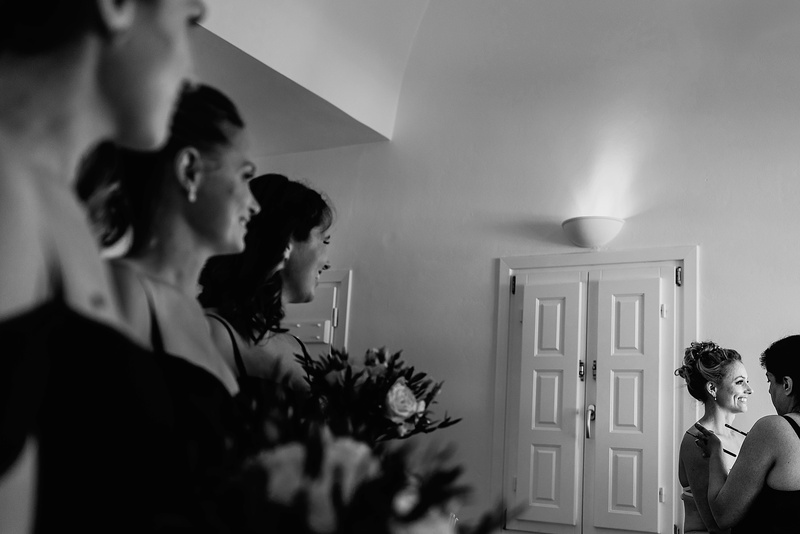 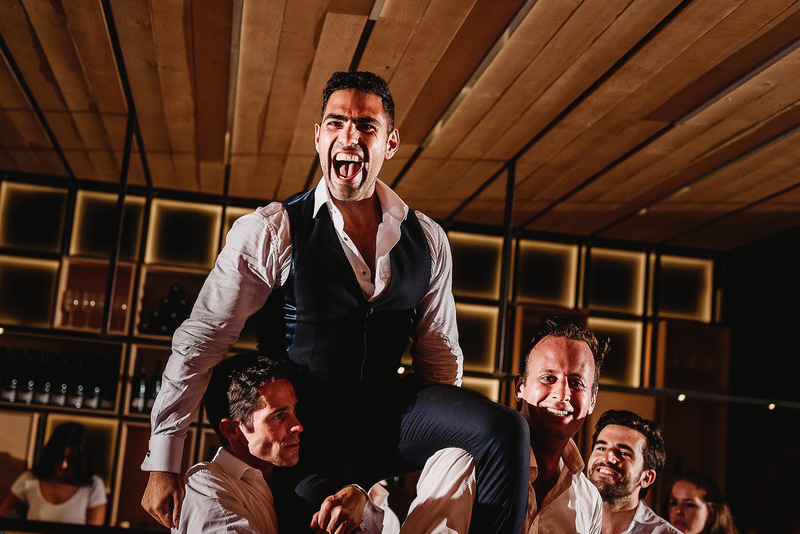 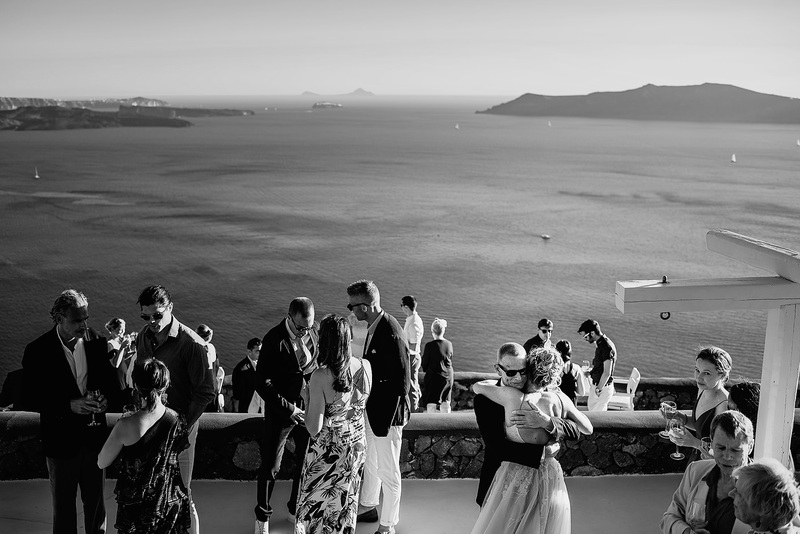 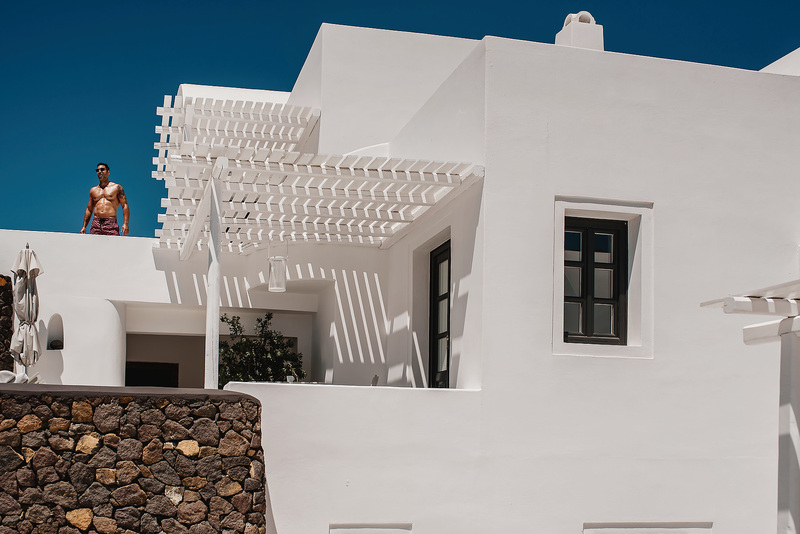 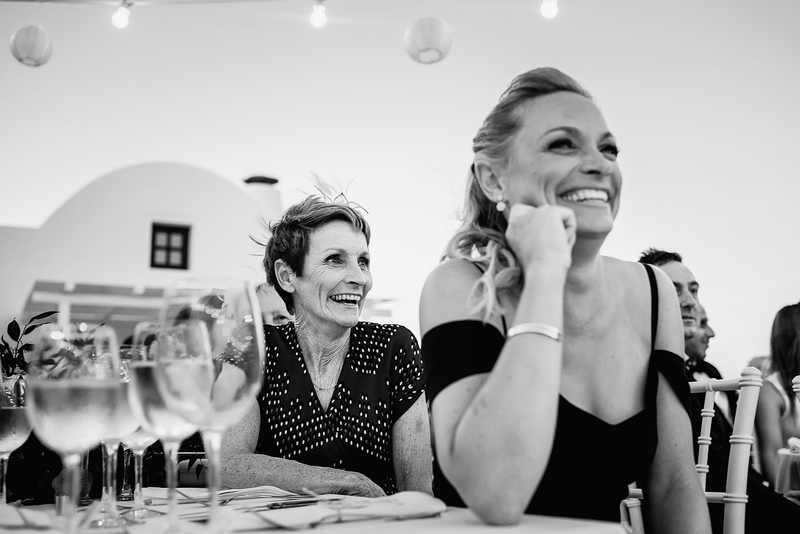 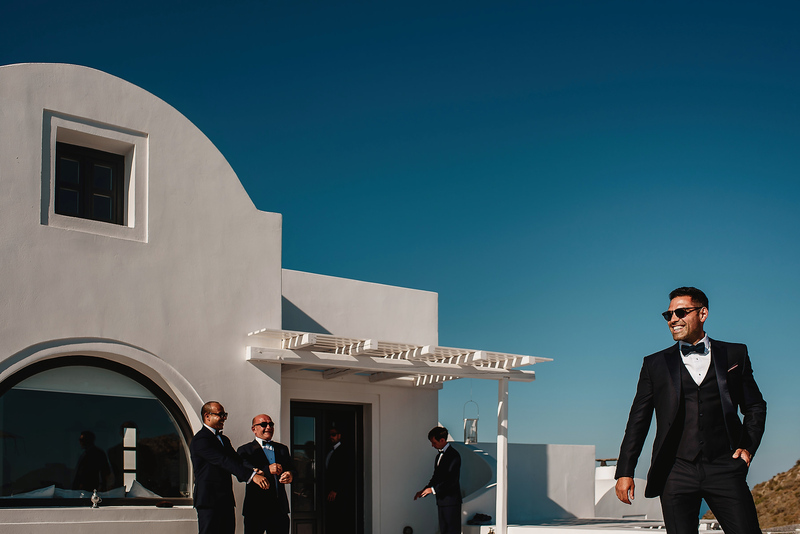 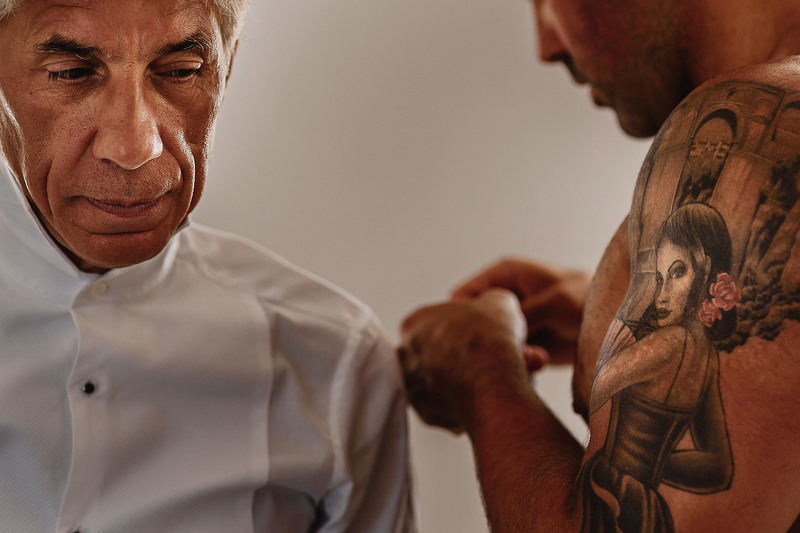 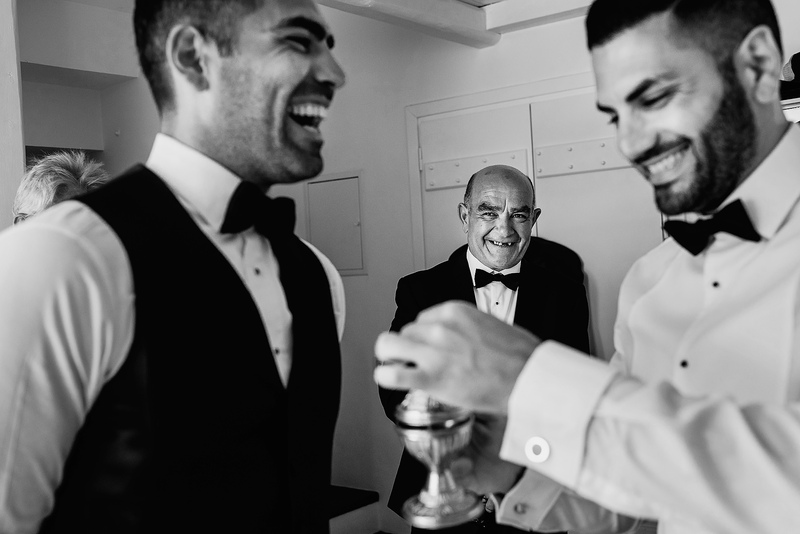 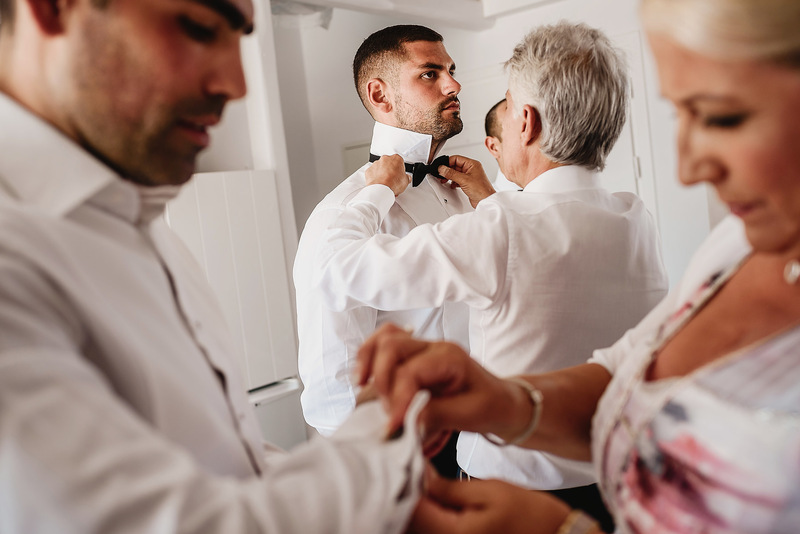 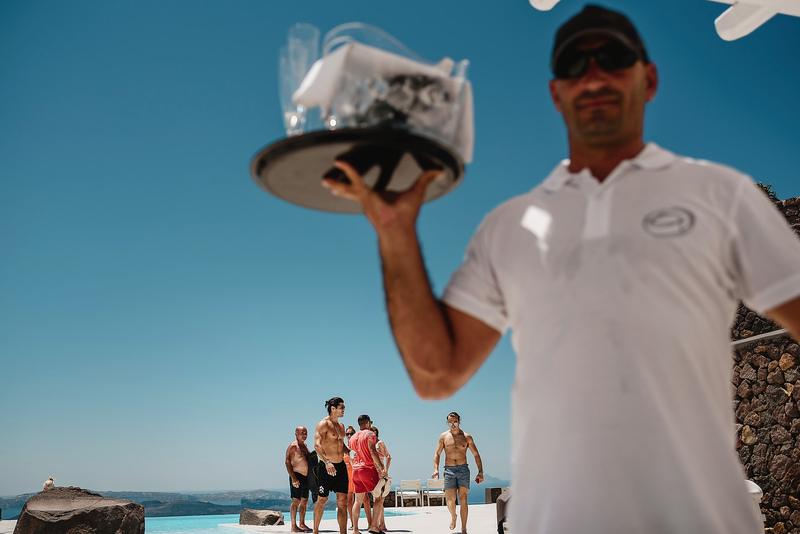 Aenaon Villas Santorini Wedding Photographer – the team! 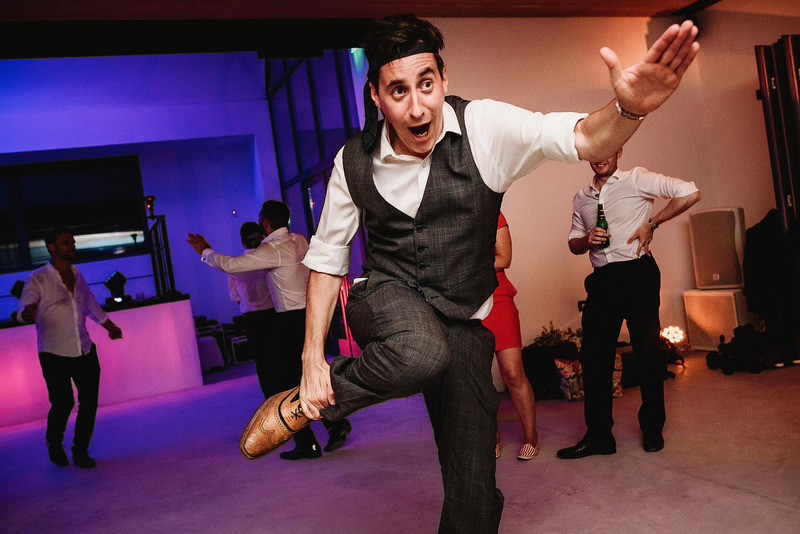 wow mate, you absolutely nailed it! 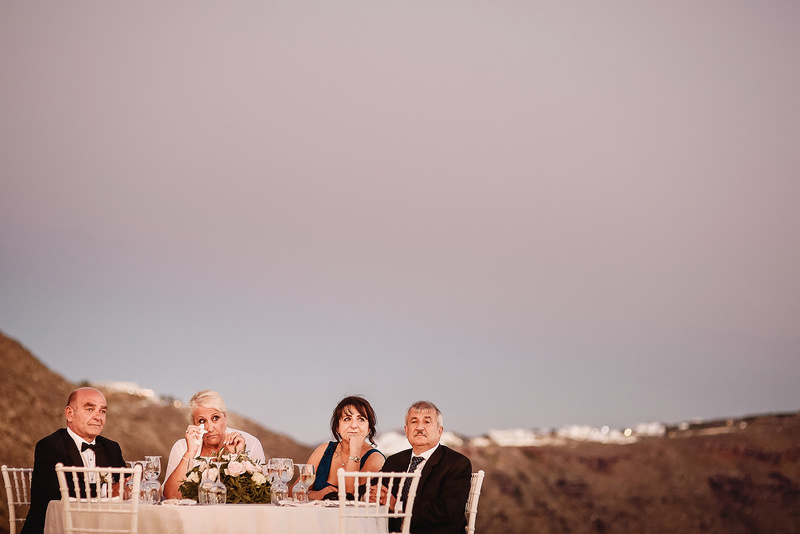 Well that’s a bit bloody special, isn’t it! 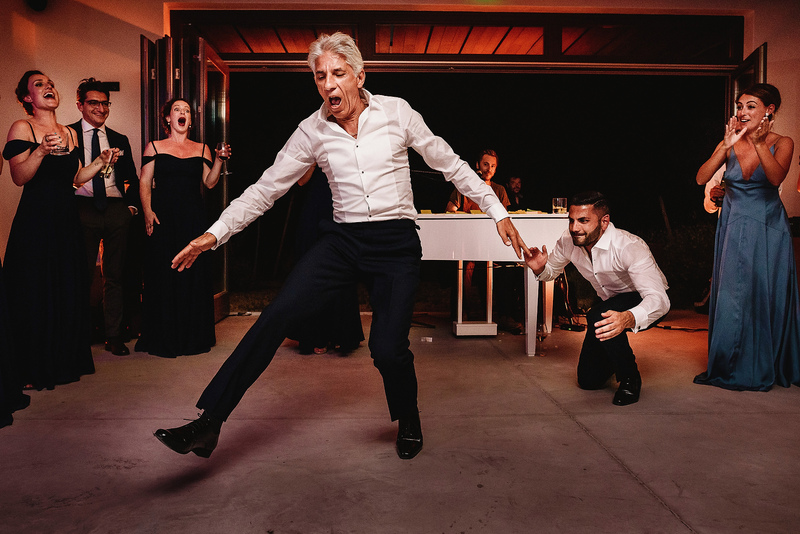 I wanna get married again just to have Mr G at my wedding – this is another level!!!! 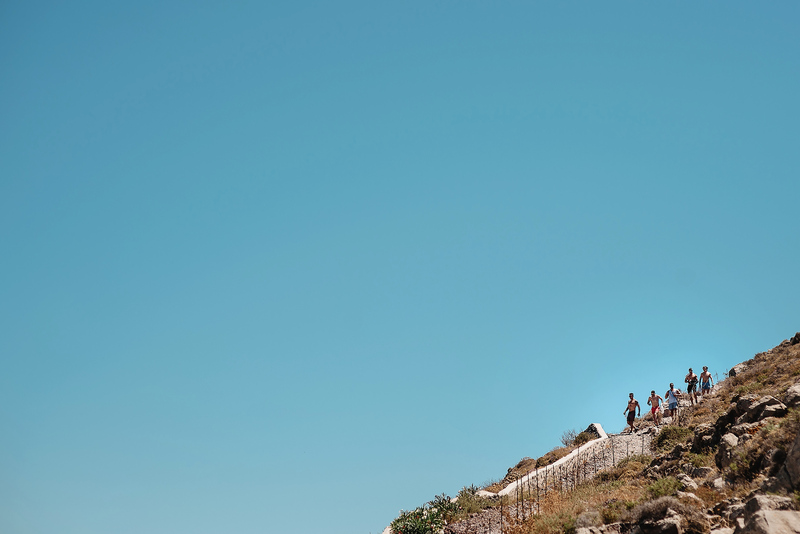 Lovely work Andy, awful lot of flesh on display, just hope you were ‘beach ready’! 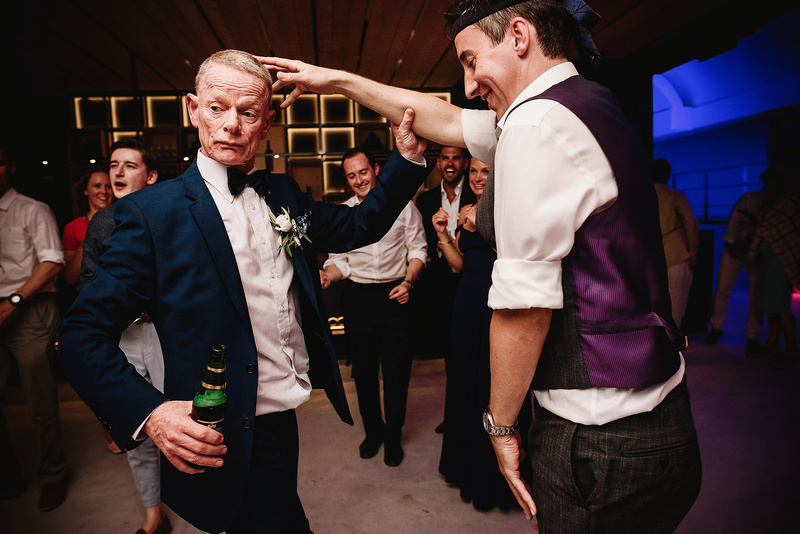 Awesome stuff Andy! 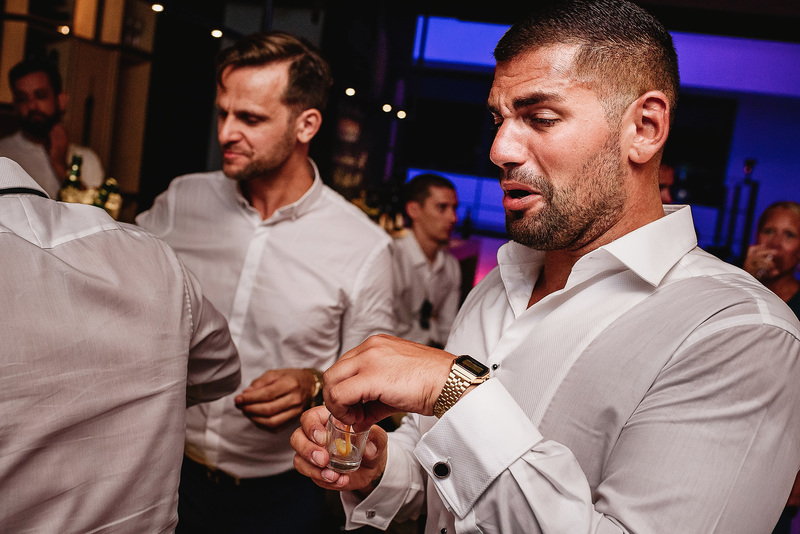 So many killer shots! 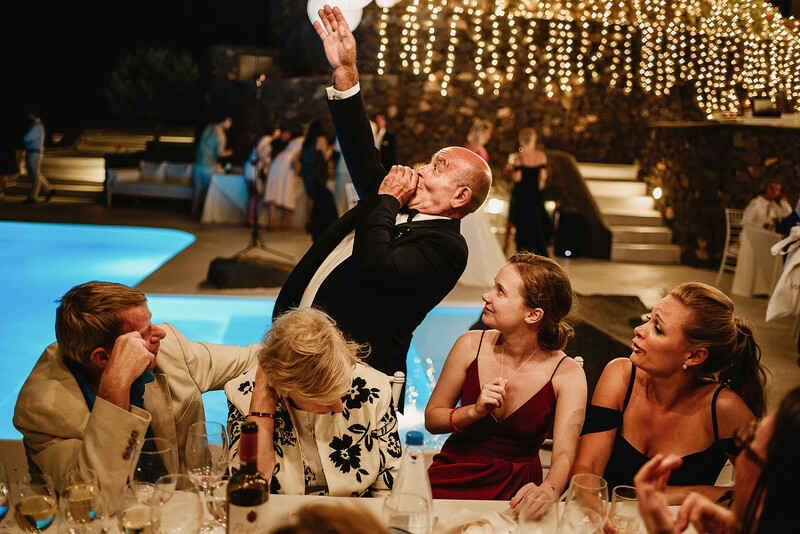 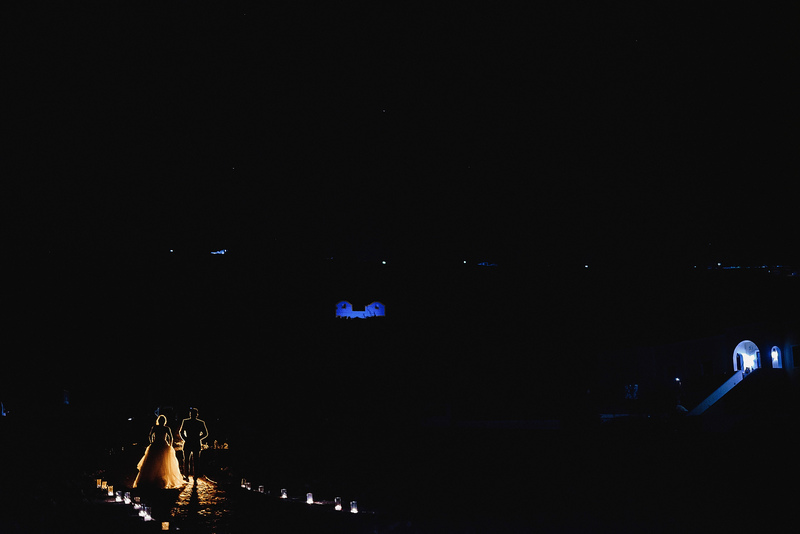 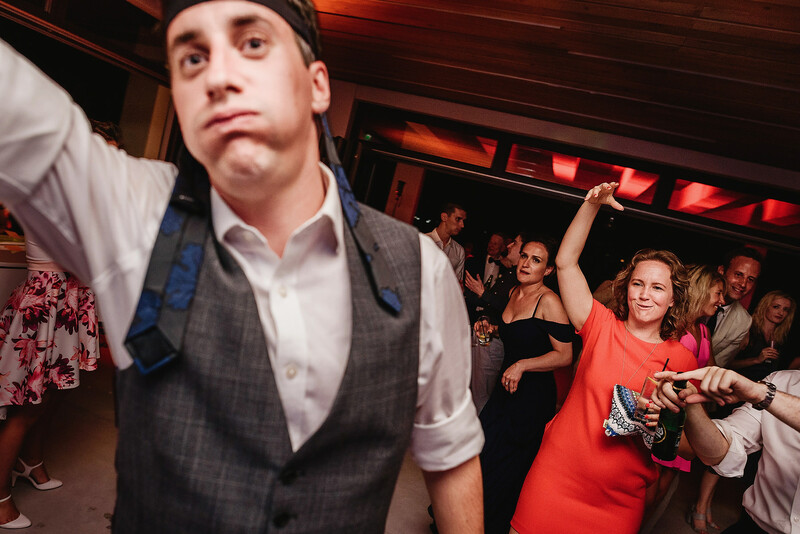 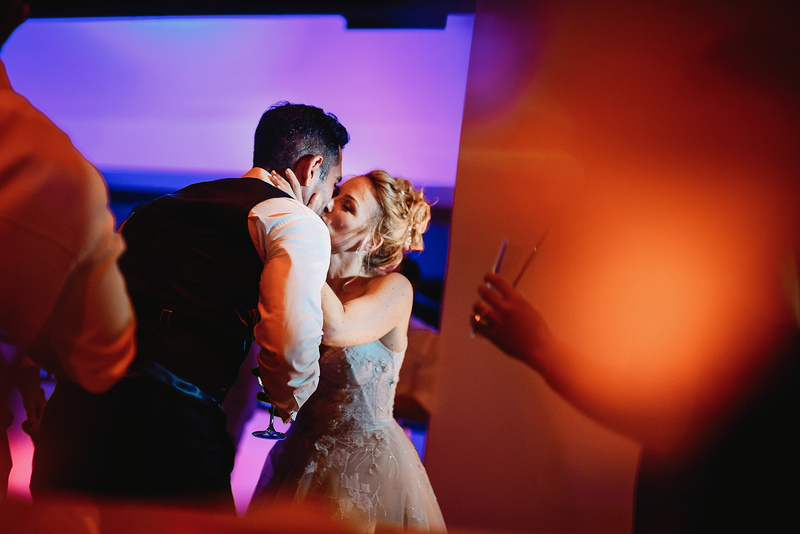 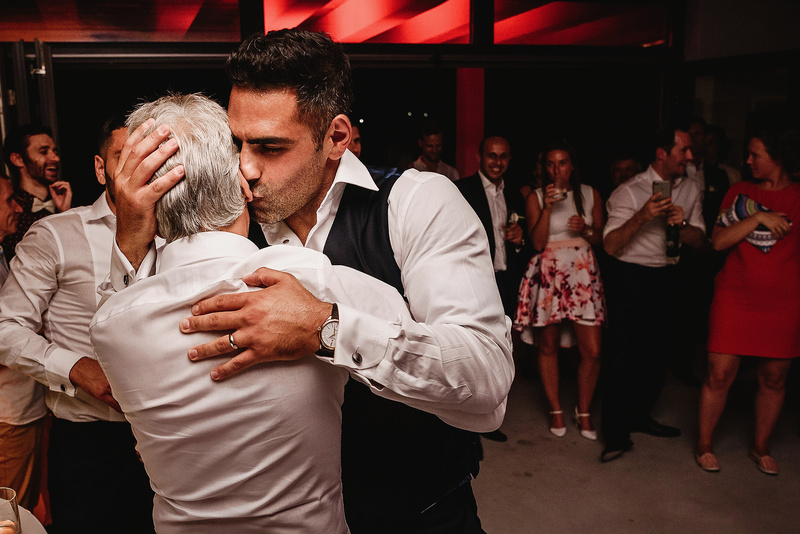 Awesome to see the ‘Gaines magic’ sprinkled all over this wedding – what a cracker it was!!!! 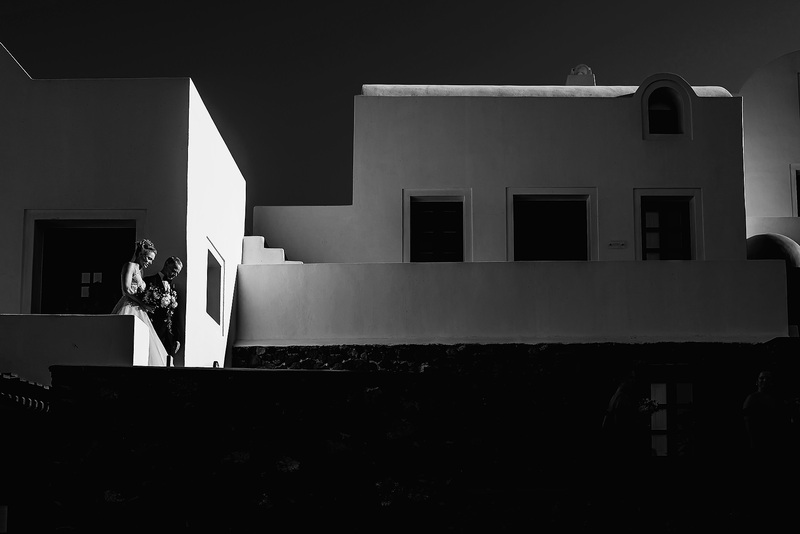 Fantastic work Andy, always so inspiring to look at.